Availability: Sold Out Until Late May. 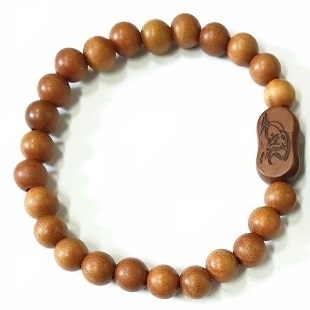 Jujube Wood Beaded Prayer Bracelet - Wrist Mala w/ Bodhidharma. Bodhidharma is the Buddhist Monk that is believed to have brought Buddhism from India to China. He is considered the founder of Zen Buddhism in China, which eventually spread to Korea & Japan. 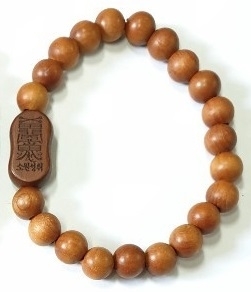 The symbol and writing on the backside means, 'Where you place your will, there you will achieve."